GlaxoSmithKline plc (LON:GSK,NYSE: GSK) today announced that it has successfully completed the acquisition of TESARO, Inc. an oncology-focused company based in Waltham, Massachusetts, for an aggregate cash consideration of approximately $5.1 billion (£4.0 billion). 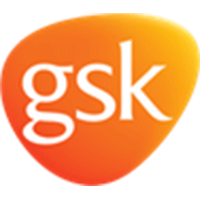 The transaction, which was announced on 3 December 2018, significantly strengthens GSK’s pharmaceutical business, accelerating the build of GSK’s pipeline and commercial capability in oncology. Click GSK for the full archive.